Romualdo Rizzuti. Class of 1984. He has starting to work with flour and water since he was 12, in a Pizza Restaurant in Marina di Camerota. When he was 16, he studied in Florenz, in the famous Pizza Restaurant “Firenze Nova”, the best Pizzeria in the city that was led by the Pizza maker of Casa Gino. Romualdo refines his technique and knowledge for 8 years, during which he proves himself. Romualdo stood out from the pack for talent and attitude. These qualities take the 25 year-old Romualdo to be hired by the known Taddei Family, the owner of Florenz Grand Hotel Mediterraneo and "le Follie" by Romualdo Rizzuti Restaurant. Romualdo focused uppon his work and went through a deep thought. 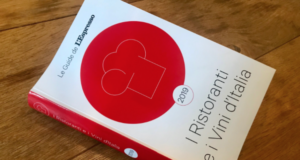 The technique and high quality food research led him to take the first steps into his peculiar cooking style by which he has been noticed and exalted by Tuscany criticism. The distinctive trait of Romualdo’s Napoli Pizza is a dough that is very easy to digest because of combination of flours with a small amount of wheat germ. It’s a standpoint in favour of the health, the taste and biodiversity of ingredients. His innovative concept of Napoli Pizza allowed him to lead the Pizzeria Sud in Florenz Mercato Centrale. 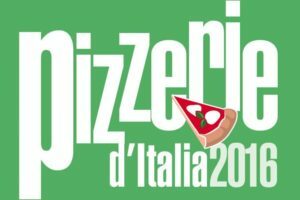 The number of baked pizzas amounts to 700 with record of 1200 pizzas in one day since the pizzeria inaguration. 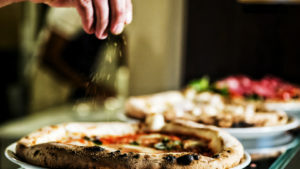 At the same time the pizzeria Sud was the point of reference and consultant for some important opening store like the Nuovo Mercato San Juan in Portorico. The Pizzeria Sud is considered as the best 20 pizza restaurant in the world by the American Journal “THE NEW YORK TIMES”. At the later time it received a good rewiew in Vanity Fair magazine. 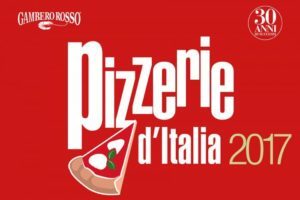 It had appointed in the best italian pizzeria 2017 a section of the L’Espresso Guide- Italian restaurant 2017. 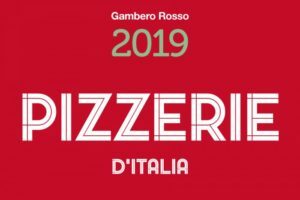 It was the Tre Spicchi award winner in the Italian pizzeria Gambero Rosso guide and Romualdo was the most joung pizza maker who has received this price. In 2016 he taugh cooking Lab II- pizzeria e lievitanti- in the food accademy Cordon Bleu. In 2017 in January Romualdo faced a huge challenge to find the right location for his first Pizza restaurant. After a short time off n 9 July 2017 Romualdo christened his empire: the Le Follie Di Romualdo in the historic Florenz Convivium. Romualdo combines the culinary tradition of Campania with the experimentation and state-of-the-art culinary technique. On 20 september 2017, two months after first opening of Follie di Romualdo, he received for the third time the Tre spicchi award and Maestro dell’impasto special price, in food accademy Città del Gusto in Napole during the launch of the best italian pizza restaurant 2018. In 2018 in 1 June FOUR SEASONS HOTEL FIRENZE announces the collaboration with ROMUALDO RIZZUTI, in the Restaurant - Pizzeria "AL FRESCO". 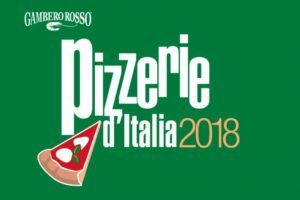 On 24 July 2018, in the guide 50 TOP PIZZA - THE BEST PIZZERIA D'ITALIA AND THE WORLD won the 27th with its LE FOLLIE DI ROMUALDO. 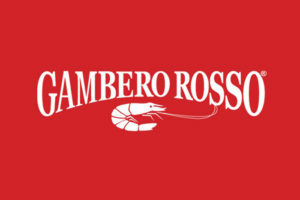 In 20 September, in Naples the new guidebook Pizzerie d'Italia 2019 of the Gambero Rosso is presented. Romualdo does an encore. Reconfirmed the Tre Spicchi for Le Follie di Romualdo and won the Tre Spicchi also at the Four Seasons Hotel Florence.